Looks matter in much of life, sometimes fairly, sometimes not. But good looks are so rare in small crossovers and sport-utes that when one has them, it deserves more than a passing glance. Lexus’ NX is a looker. 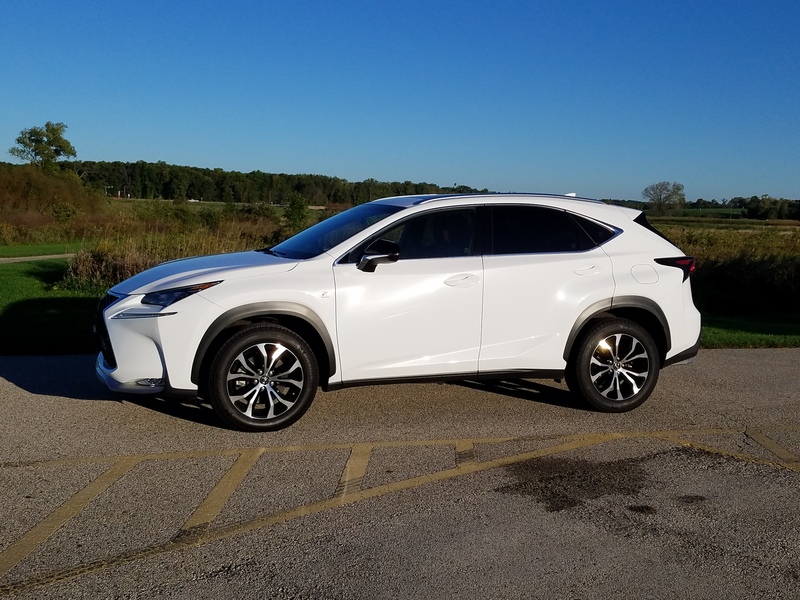 I’ve said it before, as I’ve tested this vehicle a couple times, and I’ll keep saying it until some other car company out-designs the NX. Its taillights look three dimensional even from a distance and the front lights are big checkmarks laid sideways. Its interior is angular and attractive too, the test unit featuring dark red leather seats with black trim — this is not your German cousin’s luxury crossover! My test vehicle was the NX 200t F Sport with all-wheel-drive and decked out in a bright sparkling white paint job. Finally, a car that isn’t gray! 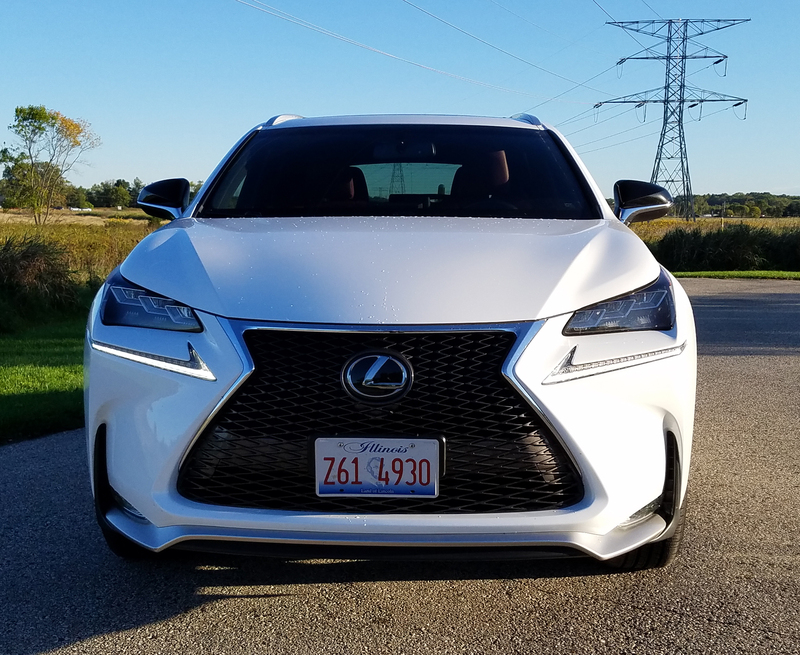 The white accentuated its spiffy styling, and as in past drives, outside of a stiff ride and horribly clunky radio/navigation tuning system, the NX is a delight. The 200t features a 2.0-liter turbocharged I4 with variable valve timing. It creates 235 horses and 258 lb.-ft. of torque. That’s plenty of power for a small crossover. The turbo does exhibit some lag under normal acceleration, but flip the dial on the console to the Sport setting and boom, the power is stronger and more instantaneous. I drove it in Sport most of the week, although it resets to the Normal setting every time the vehicle is turned off. Kia has upgraded and enlarged its Sportage small sport-ute to keep it competitive with the likes of Subaru’s Forester, Honda’s CR-V, Ford’s Escape and Toyota’s RAV4. 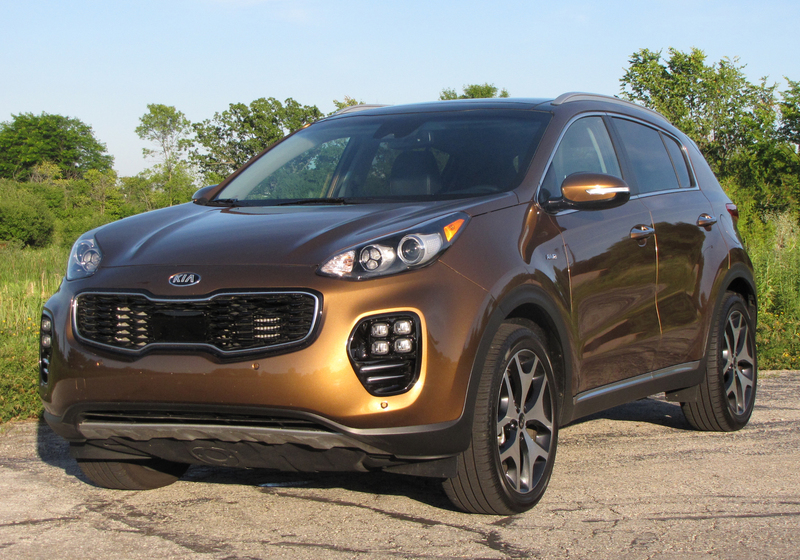 This is an extremely competitive market with many good products, but Kia maintains its strong styling edge and then lengthens Sportage’s wheelbase from 103.9 inches to 105.1 to give it an even better ride than before. It’s right up there with the top small utes now for comfort. 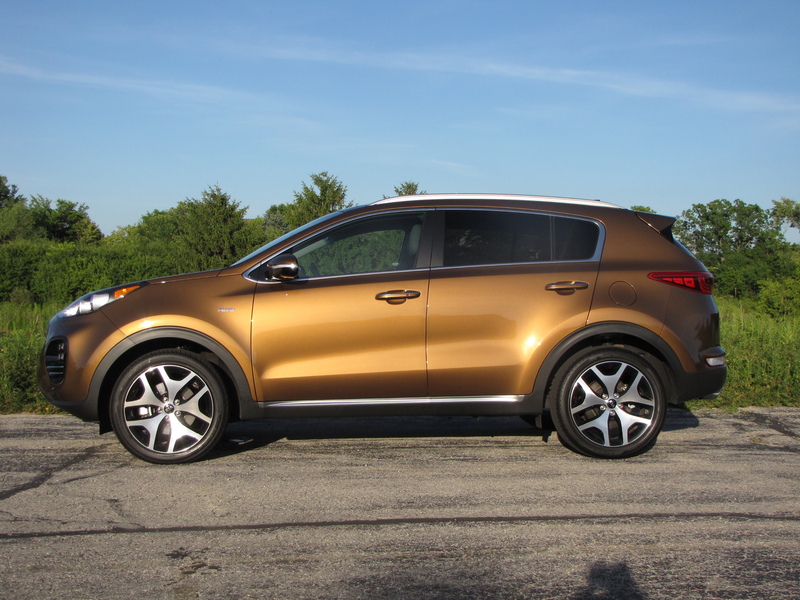 I tested a beautiful “Burnished Copper” Sportage SX AWD, the top-level model. The color reminds me of my family’s handsome 1969 Oldsmobile Cutlass S that was decked out in “Aztec Gold.” Great to see some gold tones return to automotive color lineups. 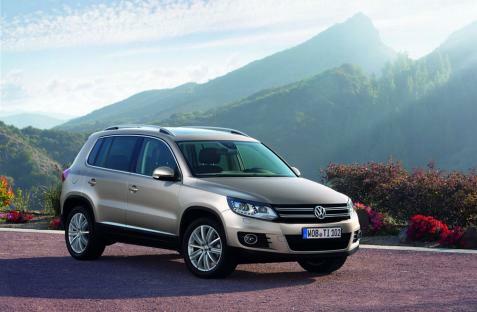 Tiguan shows VW still struggling in U.S. Ever since Volkswagen lost its way in the U.S. market, about the time it phased out the old Beetle, it has been struggling to regain its footing. Nowhere is that struggle more evident than its small sport-utility offering, the Tiguan. VW’s small ute was restyled and remade a year ago and certainly showed improvement. It feels lighter and more fun to drive. The steering is among the sportiest of all small utes. Plus it offers a 200-horse 2.0-liter, I4 with a turbo. That SHOULD make it rock. But there were issues with the silver mid-line SE 4Motion that I tested. Mainly its engine and 6-speed automatic DSG transmission with the clutchless manual Tiptronic system did not work smoothly. Certainly the engine has the ponies. Flatten the gas pedal and it’ll jump to highway speeds like a champ. But most of us drive in that 30-45 mph range a lot as we trundle to and from work. In that bracket the transmission gets balky, especially from 35-40 mph. It feels as if it’s holding the engine back, the car hesitates and transmission noise increases. I found myself languishing as I pulled away from stoplights and getting frustrated as the ute bogged as I approached 40 mph on suburban 4-lane roads. Some shifts even felt a bit jerky at times. Give Mazda credit, once it decided to remake its small sport-utility for 2013, it didn’t rest on its laurels, although it could have for a couple years. Nope, for 2014 it rolls out a new efficient, and more powerful 2.5-liter I4 using its Skyactiv technology that aims at fuel economy, plus performance. 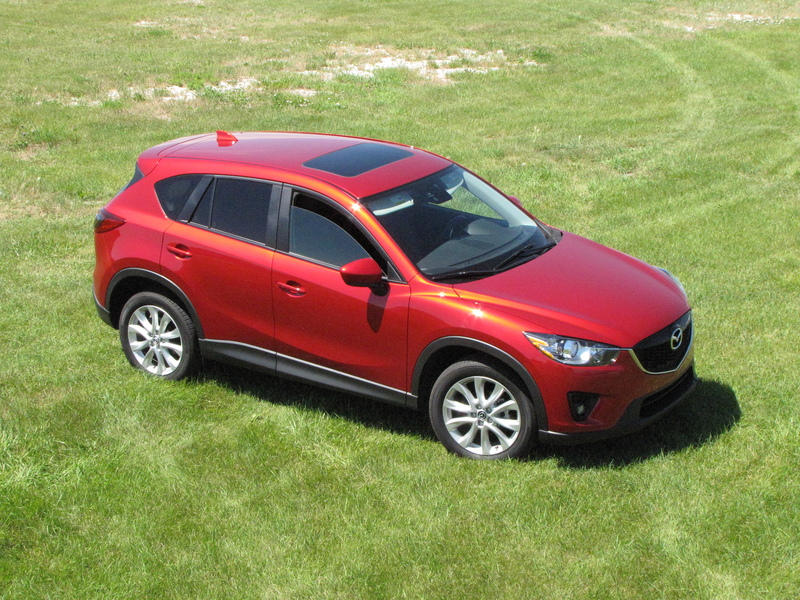 So, while last year’s CX-5 mid-size sport-utility was a delight to drive, with upscale looks and feel, the 2014 ups the performance ante and still delivers excellent gas mileage for a ute with all-wheel-drive. 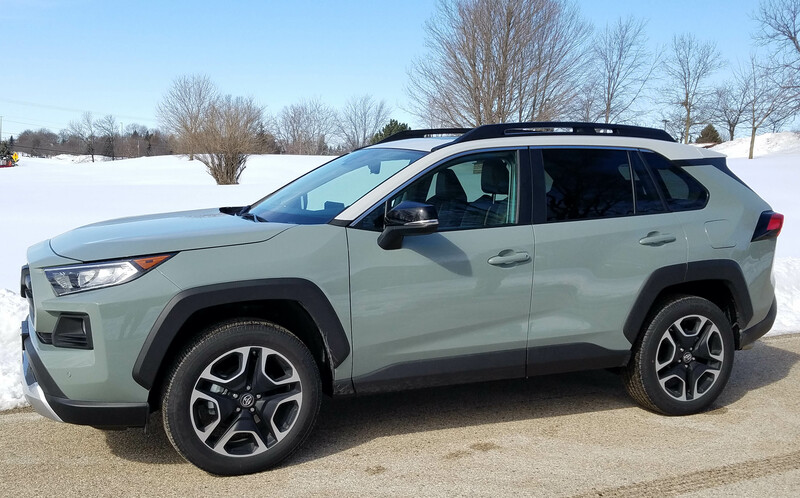 I tested the top-level Grand Touring model with AWD, so it tips the money scales at $28,870, but that’s still well below the average price of a new vehicle these days. With a fancy, and mostly unneeded, tech package it hit $31,890, right at the average cost of a new vehicle.